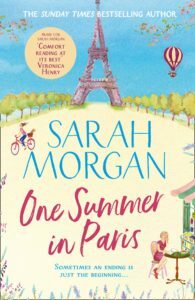 One Summer In Paris by Sarah Morgan is a wonderful contemporary offering about love and life, friendship and discovering yourself. We all need a good friend. A good friend who will always be there for us. A good friend who sees beyond our stock, ‘I’m fine’ response. One Summer In Paris celebrates friendship. 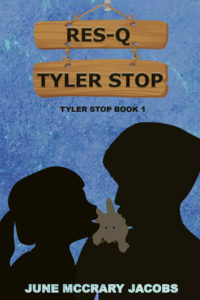 RES-Q Tyler Stop by June McCrary Jacobs is a delightful tale set in 1968 and aimed at children 8 – 12 years old. I am considerably older but I enjoyed it. The novel teaches us valuable life lessons as we follow the two main characters eleven year old Weston and his nine year old sister. Together they show compassion and care as they rescue animals. 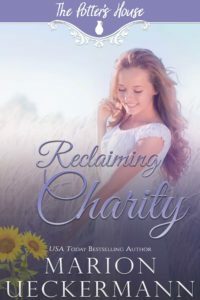 The reader sees the importance of taking care of all God’s creatures. We all make choices. Sometimes we fail to heed advice and bad choices are made. We have to face the consequences of our choices. 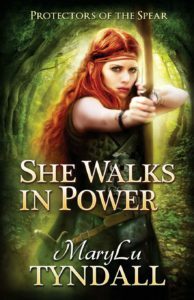 She Walks In Power by MaryLu Tyndall is a marvelous Christian historical fantasy adventure. It is the first book in the Protectors Of The Spear series which promises to be fabulous. Life is a spiritual battle. There is so much more than we can see, hear and touch. The powers of God wrestle with demons. “When the night horrors come, read this [God’s Word] aloud.” We need to defeat evil with faith and by standing firm on the Word of God. At His name the demons will flee – fight the enemy by saying the name of Jesus. The action is set in the Middle Ages. At this time the Bible was in Latin and it was believed that a priest was needed to quote the Word of God. We do not need anyone to stand as a bridge between us and God because of the sacrifice of Jesus. We can boldly approach God’s throne. “You don’t need to pray to a dead saint nor pay for your sins.” We need no third party. We can go straight to the Father because of the Son.